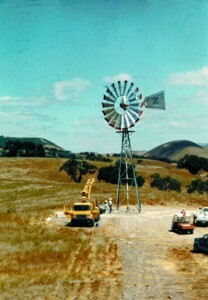 For over thirty years American Windmills, located 40 miles east of Sacramento in Diamond Springs California, has been serving the Windmill community. 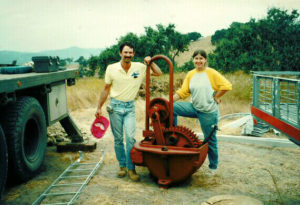 American Windmills has grown from Paul Petrocchi working part time to a full time successful partnership with Ellen Sattler (that’s me!) We also employ local machinists and skilled laborers. 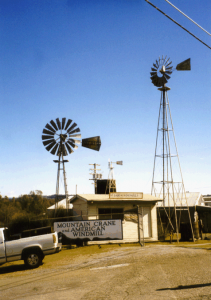 We know Windmills and water pumping systems. Paul Petrocchi is a licensed contractor (#620131) in California. 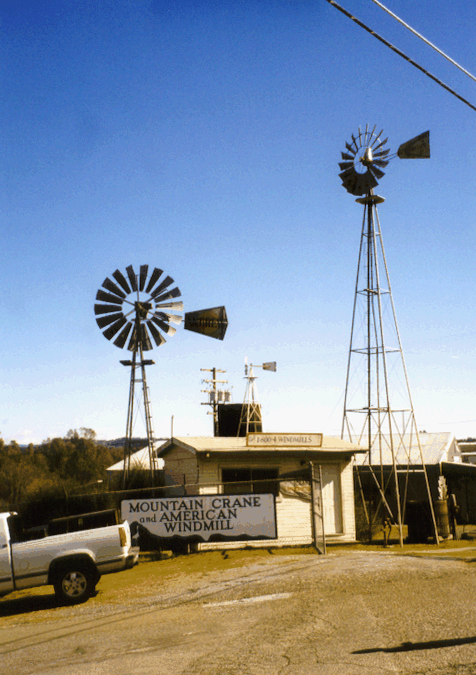 Paul and Ellen Sattler, are certified Windmillers having earned their accreditation at the New Mexico State University at Las Cruces. We are members of the International Molinological Society. Here’s Paul and Ellen standing by a gear box for a 20′ diameter Aermotor Windmill. Here’s the 20′ Aermotor on a 40′ tower! The customer had us put his logo, the Flying “Z” on the tail tin. This Windmill pumped 40 gallons a minute for his 1000 head of cattle. The whole job took us 4 days from start to finish, including a full day of travel. Visit us in Placerville. Always call first We’re not always here…and I need to give you the address.